Microsoft: Xbox One Launch Line-Up Best "in Console History"
Microsoft's Phil Harrison believes the Xbox One has the strongest launch-line up of any console ever made. While the Xbox One was unveiled to some pretty harsh criticism regarding some of its features and policies, it still earned praise for some of the games attached to it. Perhaps recognizing that as one of the console's strong points Microsoft's Phil Harrison recently spent some time talking up its launch line-up. "Ultimately it's the games that make Xbox One stand out," said Harrison. "We have the best line-up of games -we think- in the history of consoles." It's a big proclamation backed by some big name titles. 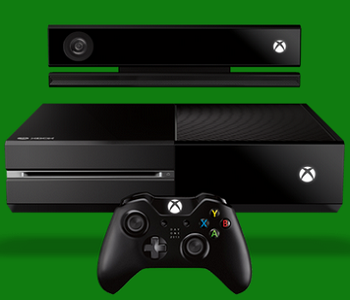 The Xbox One, at its release, will have a confirmed 23 games in its library. Among these will be exclusives like Crimson Dragon, Dead Rising 3, Killer Instinct and Ryse: Son of Rome. It will also include multiplatform titles like Call of Duty: Ghosts, Battlefield 4, Assassin's Creed IV: Black Flag, and Watch Dogs. The PlayStation 4 will, notably, feature several of the same multiplatform games Microsoft is touting for its own launch. Ironically, Sony also claimed the PS4's line-up to be one of the strongest ever, though it at least limited its wording to PlayStation history. Grandiose statements aside, gamers do have quite a few quality titles to look forward to at the Xbox One's launch. That said, we're not sure we'd call it the best ever. Granted, it's a topic that's fairly subjective depending on individual tastes. That said, whereas previous consoles might have launched with only a few games, many arguably packed more oomph than the libraries being offered by the Xbox One and PS4. What do you guys think? Is the Xbox One making history or will its launch be more of a footnote in the story of the game industry?